Its not wrong if we call this week as a "Data Breached' week. 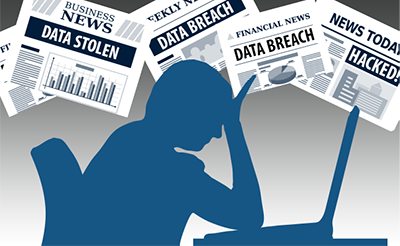 Security is the very important factors for any organizations, but then also hackers able to breach the system security. Here are some major Data Breached that happens this week. #1 Biggest Breached: 427 Millions MySpace Password leaks. On Tuesday, Myspace confirmed that the company was hacked in 2013 and suffered a major data breached and that the stolen Myspace username and password combinations have been made available for sale in an online hacker forum. The hacker, nicknamed Peace, who is selling the database of about 360 Million Myspace accounts with 427 million passwords online. MySpace said that they are taking significant steps to protect users privacy, and also alert all users to change their passwords. #2 65 Millions Tumblr Password are on sale. Earlier this month the micro-blogging and social network site admitted customer details had been compromised back in 2013, but didn’t say how many accounts were affected. Now the whole database is on sale on dark web. However the database for sale includes email addresses and passwords. However, the passwords are hashed, a process that turns them into a string of digits rather than storing them as plain text. #3 TeamViewer user claim Accounts hacked, Service goes Offline. A remote desktop connection software that allows users to share screens and allow remote access from anywhere in the world. In the past 24 hours, many customers have made unverified claims that their computers were maliciously accessed by hackers. According to these sources, hackers are using TeamViewer to access the computers late at night, and accessing bank accounts using saved browser passwords, or installing forms of ransomware. Over the past 24 hours, customers have taken their concerns to Reddit to share their thoughts and look for answers. There are user reports of both Paypal and bank accounts being hacked. Currently the site is been restored, TeamViewer claimed in several tweets that there were no breaches of security. TeamViewer’s last official comment on the rising issues of hackers was on May 23 in their press release. Whatsapp and telegram both claim to be secured service and for this they implemented End-to-End encryption by default. SS7 is a global network of telecom companies, which means none of them actually own, or govern it. Instead, any change is met with miles of red tape and a lack of decent options aside from global compliance to actually get things done. It’s a mess, and it’ll remain that way until someone, or a group, is appointed to govern and maintain it. Until then, the vulnerability will remain. Hackers have demonstrated the attack, check below. This not end here only, last week 164,611,595 LinkedIn accounts logins were also stolen by hackers. LinkedIn was first targeted in 2012 but the data only started to be sold on the dark web this month. These are the latest systems comprise news and now users have to give much attention to there online accounts.